For us travel is to replenish our lives, to furnish our minds and open our eyes to the incredible world around us; appreciating the world in bloom is on our annual list of must-do’s. With this in mind we would like to share a few suggestions of must-see sites this Spring. Our first recommendation is Keukenhof in the Netherlands. Here you will stumble across a wonderland of tulips and brightly coloured flowers where you can tip-toe through the tulips, admire the amaryllis and cruise past the crocuses to your hearts content. Keukenhof, translated as the Kitchen garden, can also be known as the Garden of Europe and is indeed one of the world’s largest flower gardens. 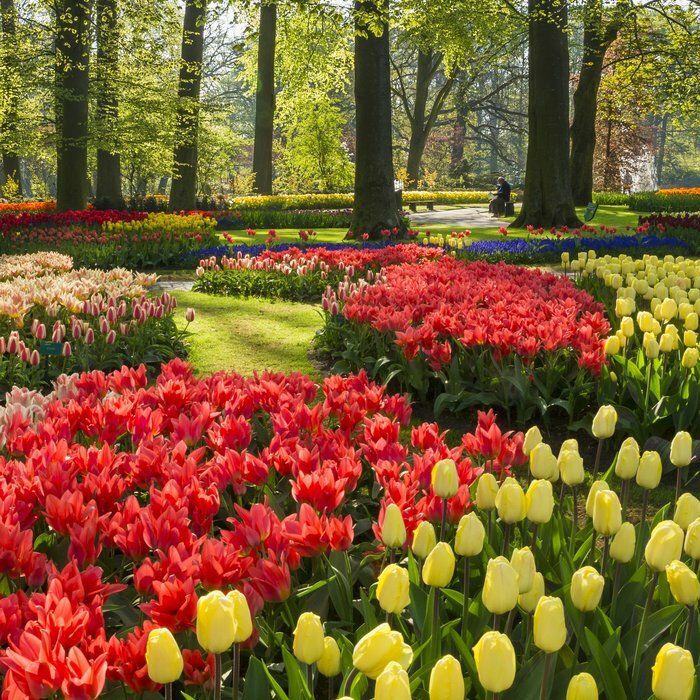 Situated in Lisee, Keukenhof Park holds approximately seven million flower bulbs and as they bloom over 32 hectares, you will encounter this park awash with the sight and scent of blossoming flowers. Whilst here, perhaps pay a visit to the flower shows or simply delight in the statues dotted around the park. Take the children on a treasure hunt or spend time with the family laughing and tiptoeing amongst the maze. Leave some time to explore the surrounding area with its fields of flowers by hiring a bike with your own personal guide leading the way. Or perhaps you may wish to charter a private boat and gaze in awe at the endless bursts of colour with a naturist by your side. For a bird’s eye view, why not glide by hot air balloon above swathes of flowers carpeting the ground below, taking in the views from high above and reveling in the glory and colours of the natural world as they roll gently below. Our second recommendation is to visit the Mojave Desert, California, paying a visit to the Antelope Valley Poppy Reserve. This comes to life every spring and once here you will the capture the bright orange poppies sprouting up here, there and everywhere. These poppies are California’s state flower, appearing in their droves providing a feast for the eyes that is simply not to be missed. You will often find that the poppies are at their peak in mid-April, but wild flower season can start as early as mid-February and last until late May, meaning there is still time to catch a wondrous glimpse of nature at their very best. Our final recommendation would be to head to Tuscany. Head out to the Tuscan hills and spot the lush greens of grape vines, olive groves and cypress trees dotting the beautiful land around you and wafting sweet heady scents into the warm Tuscan air. Along with all of this stunning greenery, you will also find crimson-colour poppies, lilacs, rosemary and wisteria. Many towns throughout the region host festivals to celebrate the season making this a wonderful place to spend your spring time holiday, simply enjoying nature as you cycle its wondrous lands or perhaps taking time to sit with a revered artist capturing such colour and intensity on a print of your own. Should you wish to spend some time amongst the flowers this spring; we have plenty of wild and wonderful suggestions on how you can encompass a blossoming element to your trip. From personalised guides on hand to help you explore new areas, incredible experiences along the way and meetings with highly influential individuals to add depth and deeper meaning to your trip. We wish to create richer travel stories for our clients, crafting journeys that meet your desires and go beyond expectations, so why not start with a little spring in your step? If you would like to discuss your own incredible journey of a lifetime, reach our trip planning specialists on +44 203 358 0110 or by email.